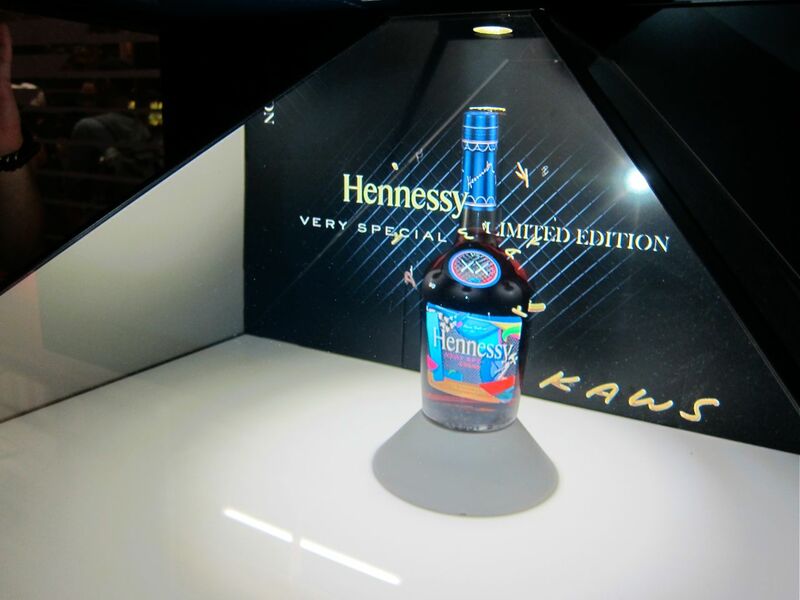 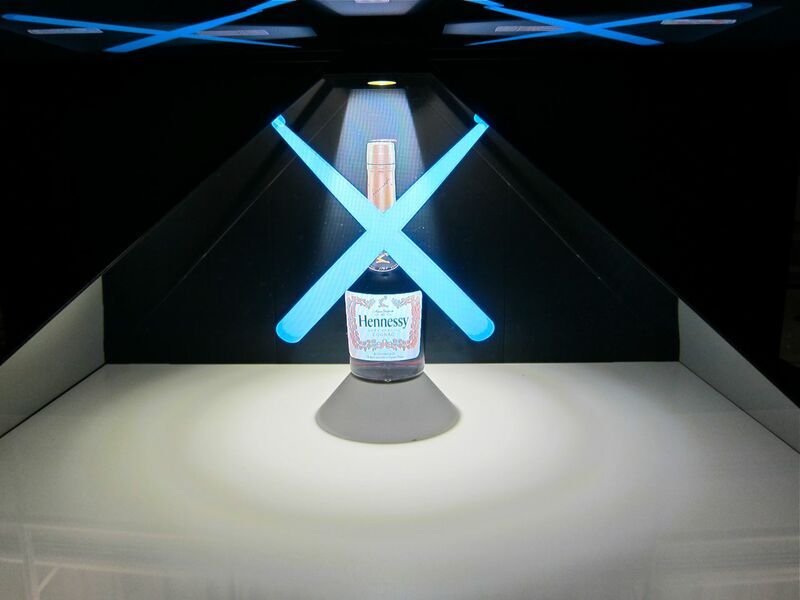 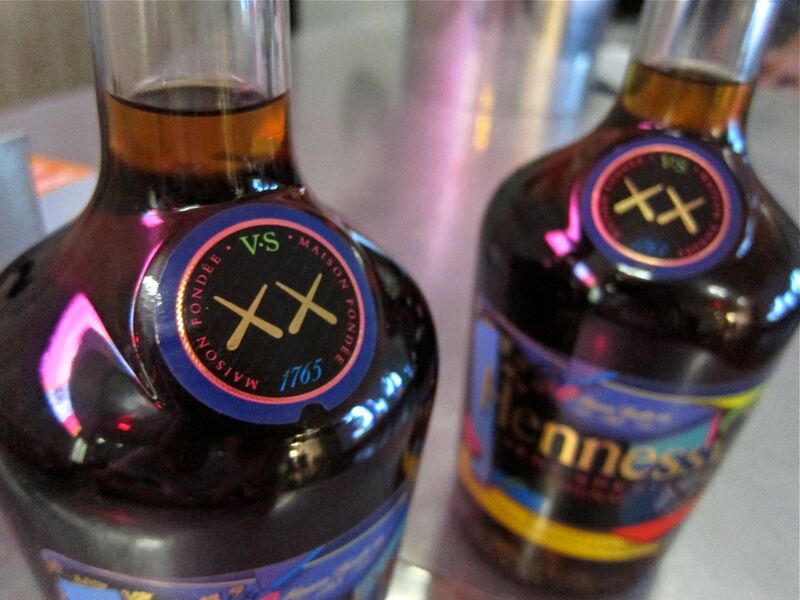 Last Thursday night, AM attended the launch party for the new Hennessy VS Cognac bottle designed by KAWS held at the New Museum. 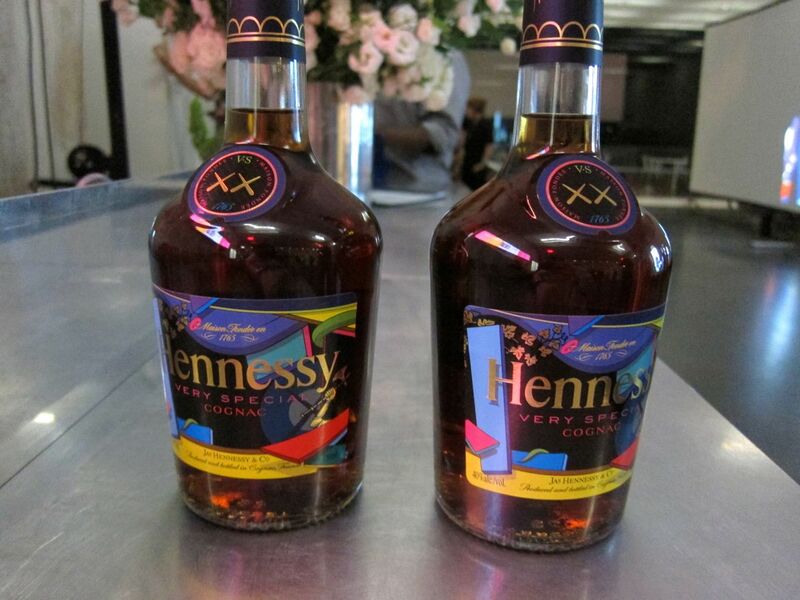 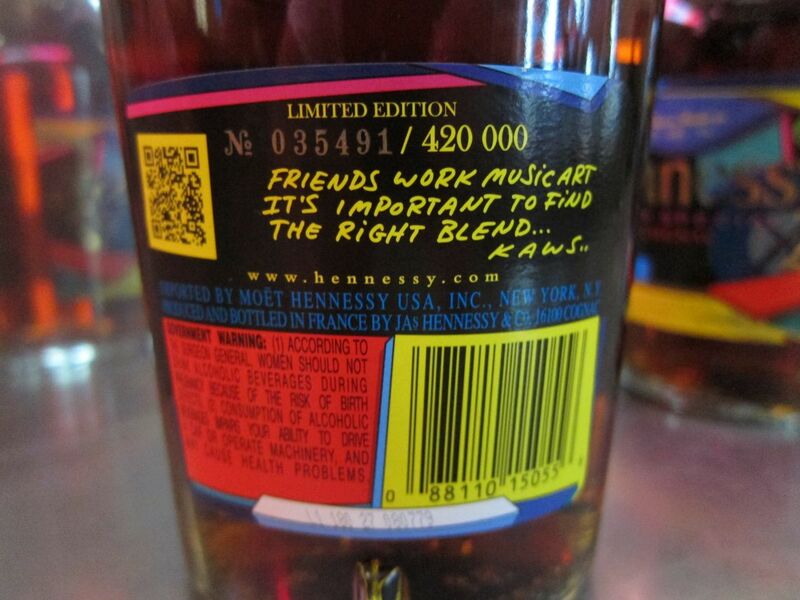 The fresh collaboration is actually the first in a series of individually numbered Hennessy bottles to be designed by well known artists. 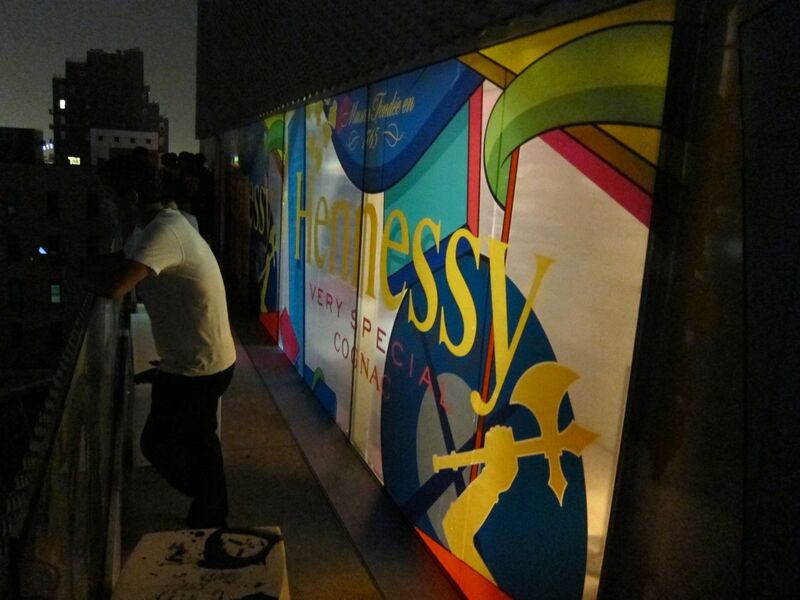 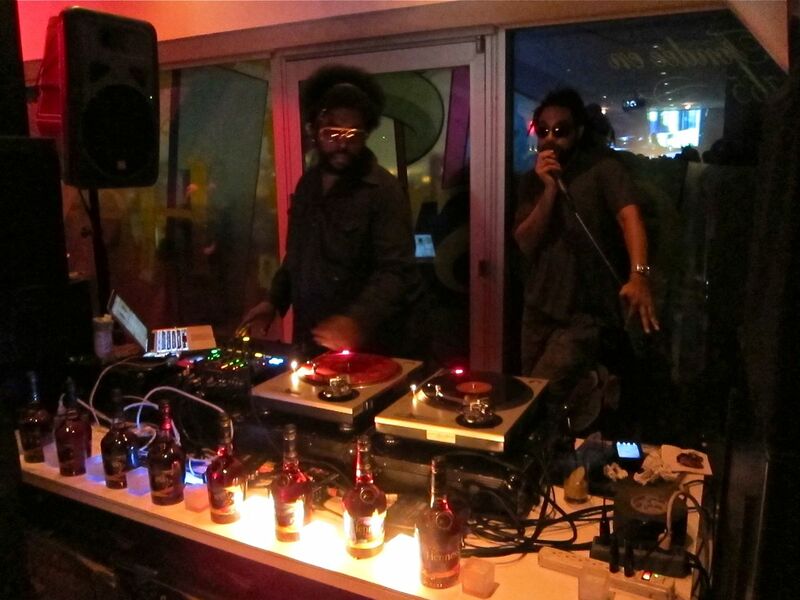 Many friend and peers of the artist were in attendance at the event including Erik Parker, Todd “REAS” James, HAZE Erik Foss, Eric Elms and Edison Chen and they all rocked to the beats of DJ Questlove as the fully catered affair took place on the exclusive 7th floor “Sky Room.” Hennessy of course spared no expenses as the entire floor was decked out in the abstract colors and shapes of the unique collaboration. 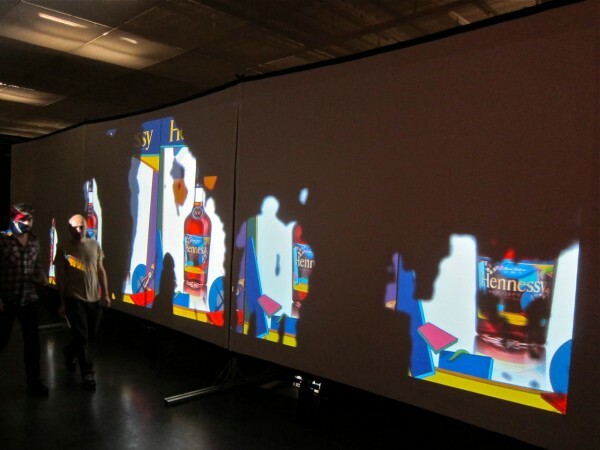 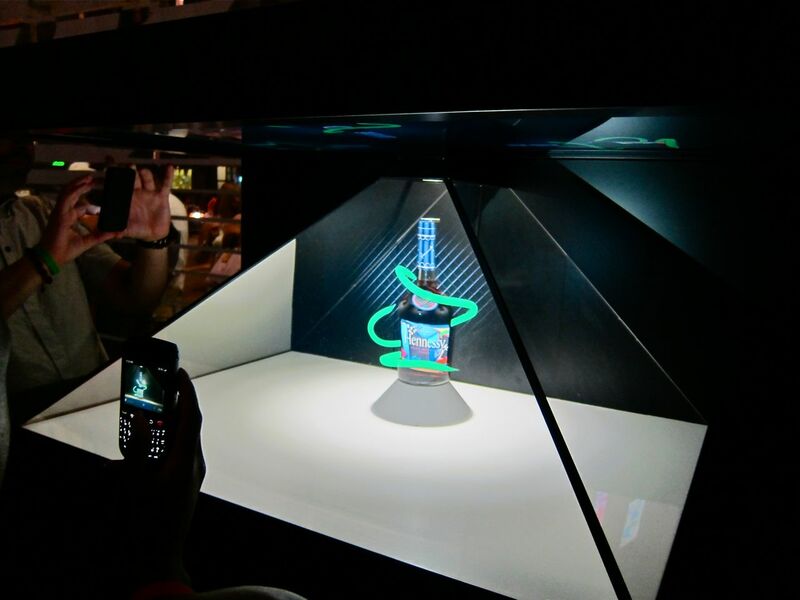 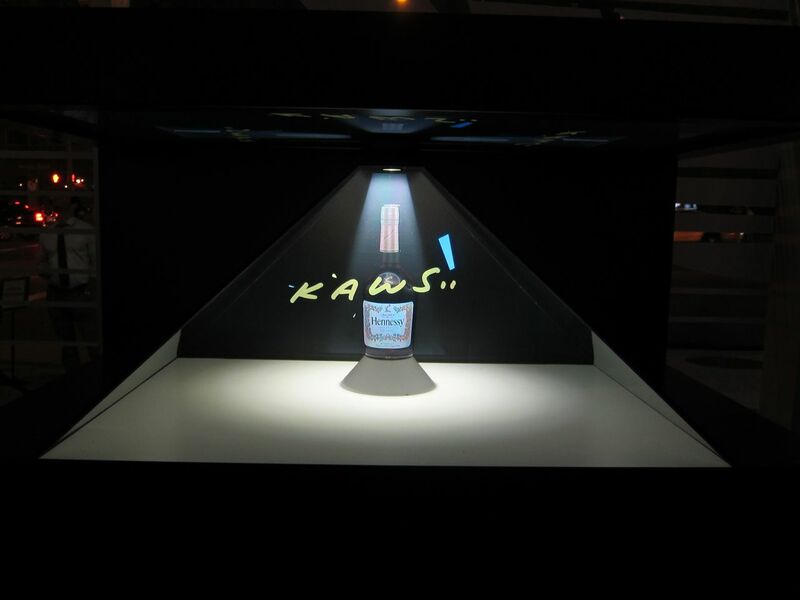 What was even more impressive was the special holographic pyramid installation which featured a mind-blowing 3-D animation created by KAWS himself. 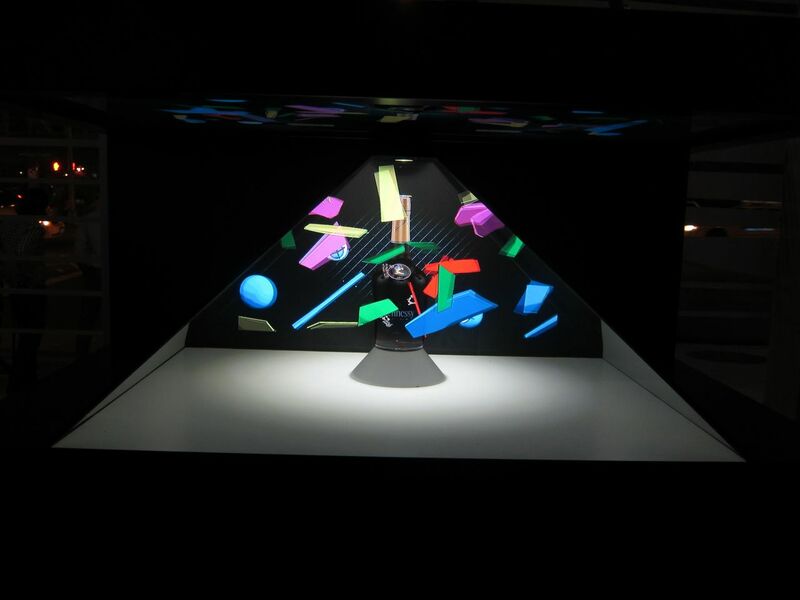 Check out a detailed look at the animation and all the action after the jump. 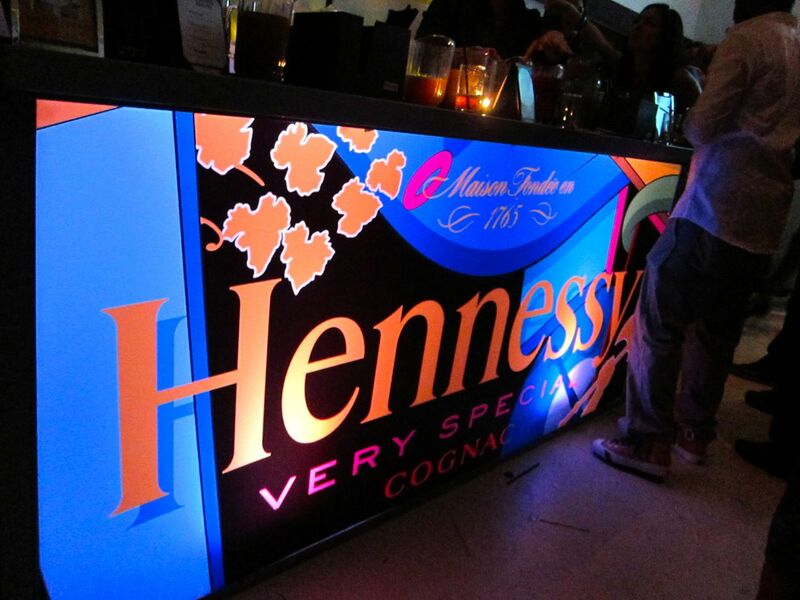 Categories: Art products, Contemporary Art, Museums, Shows & Events, Street & Urban Art. 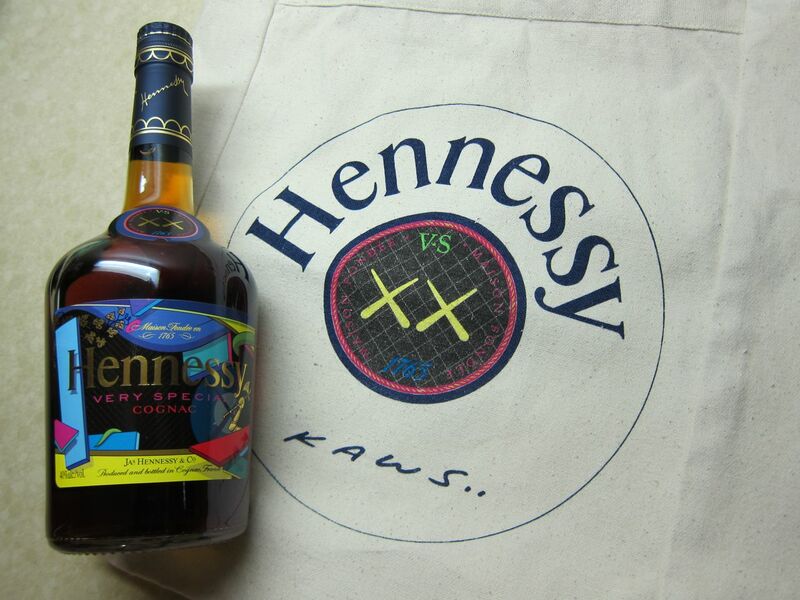 Tags: Art products, Contemporary Art, Hennessy, Kaws, KAWS x Hennessy, New Museum, Shows & Events, Street & Urban Art.